A very unique educational experience is snowshoeing. Even though this experience makes more fun if done in a group, each participant will learn a lot about themselves. They will exercise muscles which are not used in any other activity. If the youth workers choose so, it is quite possible to include a few activities, which promote team spirit. Participants learn about their bodies from a whole different perspective. To begin with, it is a little unusual, to wear snowshoes underneath the soles of your feet. However, experience has shown, the participants get relatively quickly used to the peculiar motion sequences. In the context of experiential learning Snowshoeing, is used to show the participants nature in a very different way. With snowshoes, it is possible to hike on trails far off the usual winter tour tracks. The participants learn about the region of the forest and mountains which are otherwise relatively difficult to access. With inexperienced participants, the group leader should choose a guided tour. 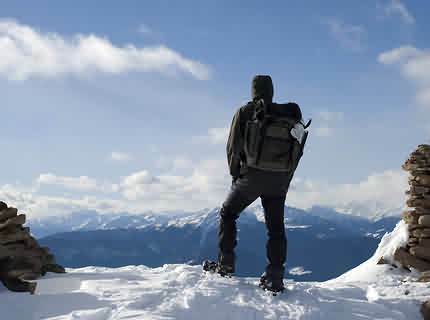 This is also recommended when the snowshoeing takes place in a rocky region, where avalanches are a possibility. 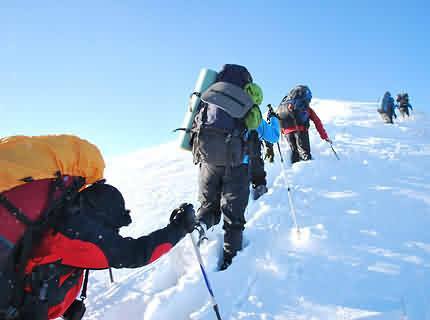 Before the group hikes up into the mountains, the trekker will give them a crash course where they learn how to use the rather unfamiliar footwear. They also will learn about flora and fauna of the region, they are going to explore. This early information can be further deepened during the tour. For example, the trekker could show them where some animals hibernate or implement some knowledge questions. For example, you can implement a contest, in which the kids have to find and identify the tracks of animals. Either they are able to guess the tracks or the trekker or youth worker can explain them to the kids on site. The kids also learn how nature is protected during the winter season and why. If there is an area with restricted or no entry at all, then this is applicable for snowshoers just as well. Are there age limits for snowshoeing? Age limits do not exist in snowshoeing. However, the group leader should make sure that the participants are roughly in the same age group. Especially younger ones reached their limits quickly while walking on snowshoes in this harsh terrain. 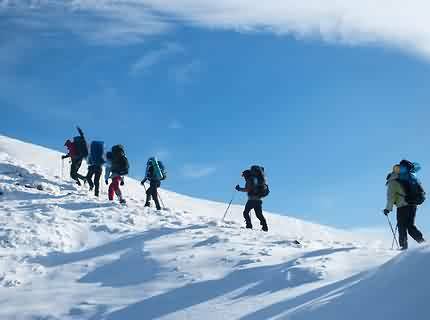 All implemented group activities during the snowshoeing should be adjusted to the age and abilities of the participants. For grade schoolers, the joint construction of a snow sculpture could easily be the highlight of the snowshoeing activity. For older participants for example, a crash course in building an igloo might be more appropriate. This gives the joint activity a grand pinnacle. A skillful youth worker will know how to involve older participants in the preparation of this event. For example, jointly they could decide which route they will take. How far you would like to expand this involvement is up to the youth worker. For example, one idea would be, to come up with a knowledge game. The task is, imagine you make an expedition to the Arctic Circle. Think of all the equipment you will need and what the issues are the youth leader had to reflect on if this indeed was to happen.